There has been speculation that the ruling TRS, headed by chief minister K Chandrasekhar Rao, may go for early elections to cash-in on the perceived positive atmosphere prevailing for it in the state. 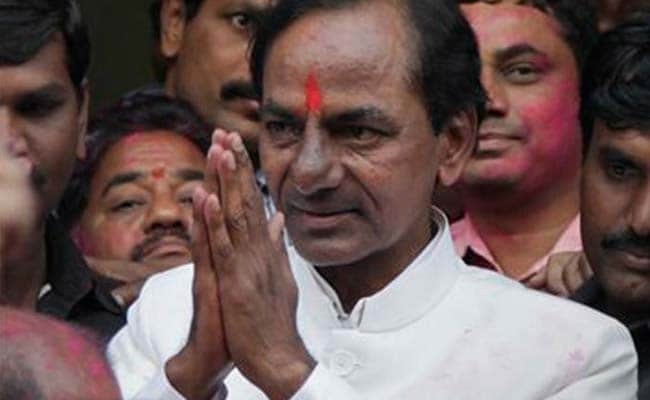 The Telangana Cabinet is likely to meet in Hyderabad this afternoon, the second time in five days, amid indications that Chief Minister K Chandrasekhar Rao may take a call on the dissolution of the state assembly to pave the way for early elections. Sources in the ruling Telangana Rashtra Samiti or TRS claimed on Wednesday that the government has more-or-less made up its mind on dissolution of the assembly, whose term ends next year. "Dissolution is 'pucca' (confirmed). Yes, that's what's happening...the Cabinet will recommend dissolution or convening of the House to deliberate on the matter," a senior TRS leader told news agency PTI. Assembly elections in Telangana are originally scheduled to be held simultaneously with the Lok Sabha polls next year, but the chief minister sees it as an advantage for TRS in de-linking the two elections. In recent weeks, the state government had announced a slew of measures for the benefit of various sections of the society. There has been speculation that the ruling TRS may go for early elections to cash-in on the perceived positive atmosphere prevailing for it in the state. Addressing a TRS public meeting on Sunday, chief minister Rao had referred to media reports about early polls and said ministers and party leaders had authorised him to take a decision on it in the interest of people and the party. The cabinet that met on Sunday ahead of the public meeting approved certain welfare measures. The ruling TRS has planned to organise 100 public meetings across the state in 50 days, beginning with a meeting at Husnabad near Karimnagar on September 7. The party came to power in the state in the maiden assembly elections held in May 2014, winning 63 of the 119 seats.